The creator of the Metal Gear game series - Hideo Kojima - has announced the new project, which is being developed together with a famous movie director - Guillermo del Toro. The Silent Hills game will be the next instalment in the legendary survival horror series. According to the creator of the new part in the franchise, the project will be so scary that the players must have the change of clothes. “The limited edition of Silent Hills will probably include a pair of trousers", - Kojima has joked. But he has also mentioned that everything must have its limits. If the project is too terrifying, nobody will play it. The gamers won’t be able to close their eyes and wait till the episode is over like while watching the horror movies. They will simply stop playing. 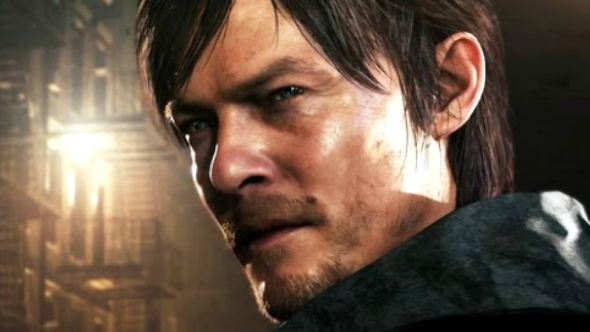 The Silent Hills game was kept in a secret even at the start of gamescom. The developers wanted to keep the mystery as long as possible. That’s why they presented the interactive playable teaser of a project titled P.T. For the current moment, it’s still unknown which story will unfold in the upcoming Silent Hills game. However, as you may have noticed in the video, the American actor - Norman Reedus, - famous for his work in The Walking Dead TV series, will play one of the main roles in it. According to the official information, the Silent Hills game will be launched in 2015 as a PS4 exclusive. Are you a fan of the survival horror genre? Are you interested in the new project?